This Wednesday, 28 April (3-15 on the Tibetan calendar), is the next Full Moon - Amitabha Day. Merit (and demerit) is multiplied 100 times. kirtu wrote: This Wednesday, 28 April (3-15 on the Tibetan calendar), is the next Full Moon - Amitabha Day. Merit (and demerit) is multiplied 100 times. Saka Dawa 2010 was today, 27 May. June 26, this coming Saturday, is Amitabha Day and on our calendar is a 100x multiplying day. However it's also a lunar eclipse (somewhere in the world) so it's a 1000x multiplying day. We're celebrating the birthday of His Holiness Gyalwa Karmapa Orgyen Tinley Dorje on the 26th---if anyone's in the SF Bay Area, come by the Berkeley Marina between 10-3.....we'll be doing Riwo Sangcho at 10, and it's a special day for practice as noted above! The nineteenth lunar day of this month (or July 30) is the day of Avalokitesvara's Renunciation. Its a good day to reflect on oneself, so be mindful! This Sunday, 14 November is the monthly Tibetan calendar Medicine Buddha day (10th month 8th day). Merit is multiplied 100 times. Sunday Novermber 21 is Amitabha Day (10th month 15th day). Merit is multiplied 100 times. Sunday December 5 is Shakyamuni Buddha Day (10th month 30th day). Merit is multiplied 100 times. Monday December 13 is Medicine Buddha Day (11a month 8th day). Merit is multiplied 100 times. Wednesday December 15 and Thursday December 16 is Guru Rinpoche Day (11a month 10th day - there are two 10th days). Tuesday December 21 is Amitabha Day (11a month 15th day). Merit is multiplied 1000 times because of a lunar eclipse. Thursday December 30 is Dakini Day (11a month 25th day). Tomorrow, Friday 18 Feb, is the full moon and is the last Amitabha Day in the current Iron Tiger (2010-2011) year. Merit and demerit is said to be multiplied 100 times. Any practice is great but especially Shakyamuni Buddha or Medicine Buddha or Prostrations to the 35 Buddhas or Amitabha practice. Iron Rabbit Losar begins on 5 March. This is TODAY! W00t! Everything is multiplied by 10 bhum or more, positive or negative. So be good today ya hear?! Tommorow: 4/27 is Dakini Day! Tomorrow, 15 June 2011, is Saka Dawa. This is the cellebration of the birth, enlightenment and parinirvana of Shakyamuni Buddha and is one of the four major holy days on the Tibetan Buddhist calendar. On top of that there is a lunar eclipse so altogether merit is multiplied 10,000,000 times. We are facing difficult times worldwide. I hope everyone could come together and recite 21 Tara sadhana and Shakyamuni Buddha sadhana 100,000 - 1,000,000 times and dedicate their practice for the benefit and happiness and the ultimate enlightenment of all beings. Tomorrow, Friday 1 July is Shakyamuni Buddha Day. There is also a partial solar eclipse. Monday is Dakini Day... if you care to know that sorta thing . & Today is Chokhor Duchen! Tomorrow, Monday 12 September, is the 15th day of the 7th Tibetan month - Amitabha Day. Merit and demit is multiplied 100 times. HH Trulshik Rinpoche said (in 1999) to perform Shakyamuni sadhana on these days 8th, 15th and 30rd) or at least recite Shakyamuni Buddha's mantra. It is also an excellent time to take the Eight Mahayana Precepts for a day. 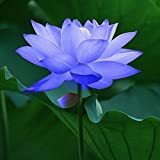 Today is Medicine Buddha Day. This Saturday is Guru Rinpoche Day. There is also a partial solar eclipse on Friday 25 Nov. But on Thursday 17, November is Descent From Heaven Day, Lhabab Duchen. Merit is multiplied 10 million times. This is the day celebrated as the return of Shakyamuni Buddha from the Heaven of the Thirty Three (a high god realm) where he physically went to teach his mother, Queen Maya, the Dharma (she died shortly after Shakyamuni Buddha was born). This is the last major holiday of the year until Losar. As it turns out, 6 Nov., Election Day in the US, is the last major Tibetan Buddhist holy day in this calendar year. This would be the Descent from Heaven Day. That's Wednesday November 7th for us European dwellers.